There are rivers, and then there is Bald Rock Canyon on the Middle Fork of the Feather. Just north of Oroville, California, this granitic masterpiece is a close equivalent to Yosemite Valley, except for the fact that there is an extremely exciting and challenging class V river run coursing through the middle of it. I have paddled Bald Rock at many varying levels and at different times of the year. The major obstacle to contend with is Atom Bomb Falls, and the higher the water level the harder it is to navigate the must-make ferry above it. 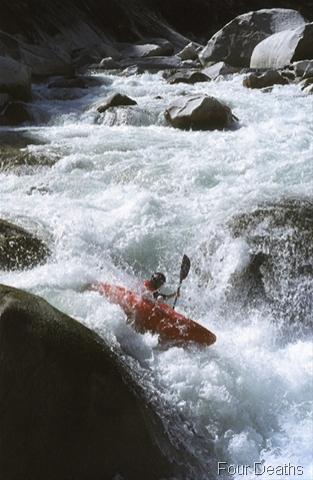 It is the only mandatory portage, and the rest of the rapids are boatable in some form or another. 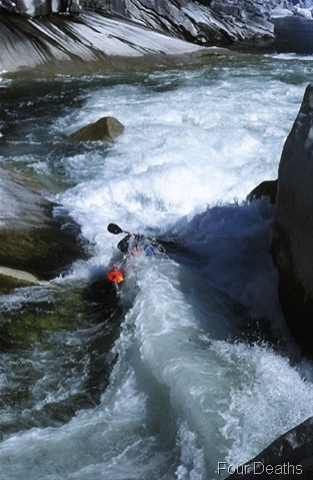 Optimal flow is 1,000 cfs, but the run certainly goes quite well anywhere between 800-1500cfs. What is unique about Bald Rock is the geologic composition. White gleaming granite walls quickly envelope you as you meander downstream into the maw. Flakes of rock and giant boulders have sloughed off the sides of the canyon and fallen into the riverbed to form rapids. If you imagine the canyon as a giant V-shape with debris falling into its middle, you can also imagine the undercuts that ensue because of this action. Nevertheless, the majority of the rapids are good-to-go, and a solid team with good scouting and reasonable judgement can make it down unscathed. 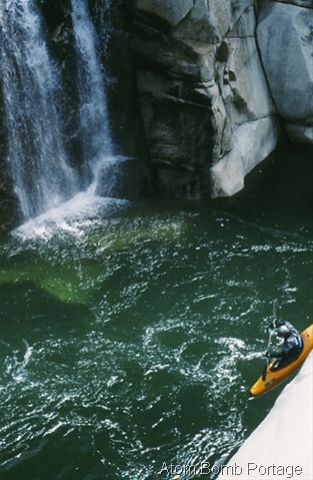 Many paddlers opt to camp overnight at Atom Bomb Falls. It is a beautiful array of rock and sleeping spots are numerous. 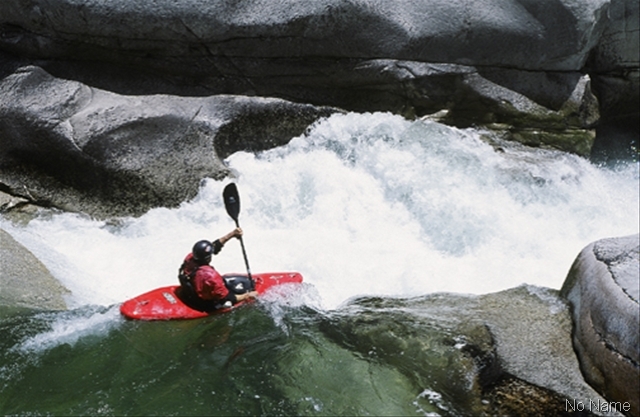 If you elect to do the run in one day, keep in mind that the Middle Fork of the Feather flows into Oroville Reservoir, and unless you are lucky enough to get a tow across the lake from a motorboat, you will have a 3-mile paddle out across flat water. Following that is and a steep climb up to the dirt road that serves as the take-out. It’s a long day no matter what. My most memorable moment on Bald Rock was a trip I did in mid-February. I was fortunate enough to have a friend, Kevin Greggerson along with his motorboat, and his girlfriend was kind enough to run shuttle for us. We were bombing down the run with me in the lead, and just as we were coming to the lip of Curtain Falls a Bald Eagle flew directly over our heads. Instead of stopping to scout, I stroked off the lip and landed comfortably at the bottom. Kevin and Andrew followed directly afterwards, and each of them had perfect lines. We were all smiles when we reached the boat and the warm clothes, beers, and smiling female faces inside. 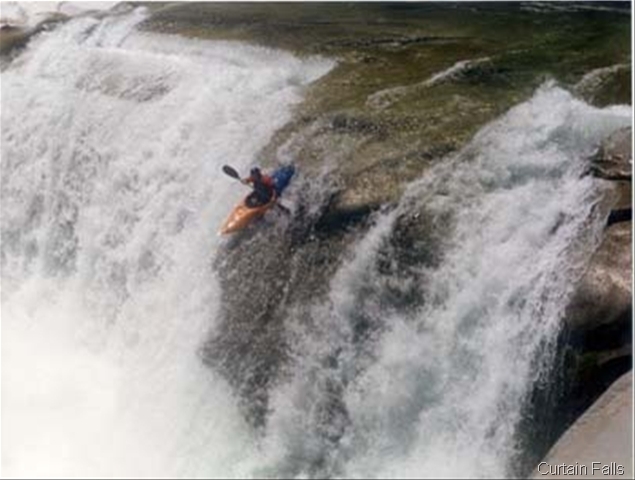 My second most memorable trip was with Grant Korgan, and I will never forget watching him get absolutely trundled in a rapid to the point where I thought he might drown. 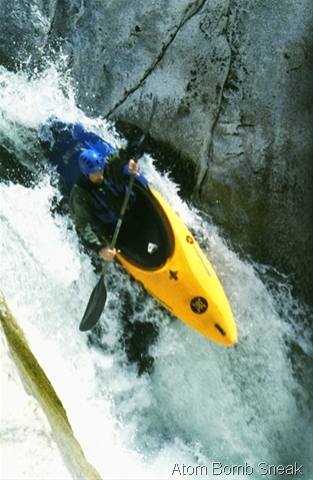 I hate those situations in kayaking when you are in a position where you simply cannot access the person in need. Fortunately, he escaped the jaws of death, and he is still plunging into giant rapids today. The infamous rapid is halfway down the run, right above Curtain Falls, and it is marked by a giant pyramid rock at the bottom. Another friend of mine, Kells burst his ear drum in the same rapid. As far as the combination of scenery, quality whitewater, and lack of crowds is concerned, Bald Rock is a true gem. It is logistically difficult to access, but it is definitely worth the effort. Nothing short of spectacular! 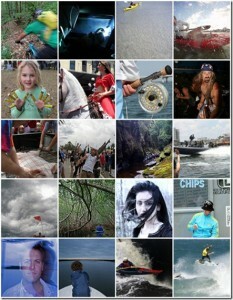 These are some amazing photographs, Robert. We’re a bit spoiled living in a region where spots like these are within a day-trip. Years ago, I was part of a group of men who climbed down into Bald Rock Canyon after having a helicopter fly in our gold dredging equipment and supplies. This was before the Oroville Dam was built and was just starting in construction. It was a beautiful river and we were surprised to find that someone else had been in there before us, years before, looking for gold. I never dreamed that anyone would venture down that cascading water back in those days but it looks like there are some very venturesome people these days. I have a small collection of color slides that I took on our climbing in and out of the canyon. And I think I am going to dig them out and think about the old days. If you have pictures of what the lower section of the river looked like before the dam flooded it over I would love to see them. You could upload them to flickr.com and then post the link.